Just about anyone can build a patio, walkway or retaining wall. And it can look great! But what about 3, 5 8 years later after that many brutal winters? That is the true test of a great hardscape contractor. Is the walkway or patio as evenly flat after years as the 1st day? Is the retaining wall still proudly standing perfectly upright? 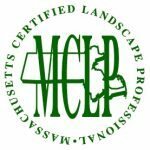 There is much more to lawn care than just lawn mowing and trimming. True professional lawn care involves services such as fertilizing, weed control, pest control, over seeding, thatching, and aerating. We also offer eco friendly fertilizer options. Learn more about our exceptional lawn care services. Your property’s landscape is your “1st impression”. Lewis Landscaping has extensive experience helping commercial properties look beautiful From constructing the landscape during the new construction phase to maintaining the lawn, plants and trees our highly professional and accredited landscapers will make that 1st impression great! Part of the beauty of Cape Cod is our stately trees. But between nor’esters, winter storms, and the fall season trees can make a mess of your property. Wet leaves can also be slippery and dangerous. Our professional landscapers are available for Spring & Fall clean ups. We also have a high volume leaf vacuum. So we can save you the hours and aggravation of bagging all the leaves and taking them to the dump.